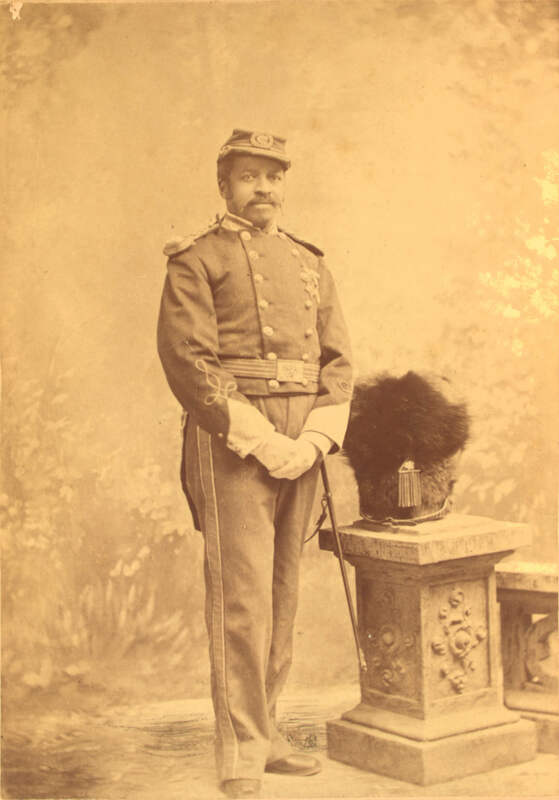 The Library of Congress has a great archive of photographs which includes these wonderful portraits of African American Civil War veterans. These men are shown wearing clothing and accoutrements of the Grand Army of the Republic, or G. A. R. The G. A. R. was a nation-wide organization for Union veterans of the Civil War. Created/Published: Edward Homann Jr., 1864-1941, photographer, cor. 14th & Carson Sts., S.S.], 1895, Pittsburg, Pa.
Created/Published: James A. Wolfe, 4841 N. Clark St., Rogers Park, Chicago. May 30, 1906. Created/Published: between 1900 and 1920? This entry was posted in 20th Century, Civil War, Identity, Images, Memory, Photographs, US Colored Troops and tagged African American Civil War veterans, African American Men, Black Men, Civil War Veterans, Freedom Fighters. Bookmark the permalink. Thanks for sharing resharing 🙂 Love It!